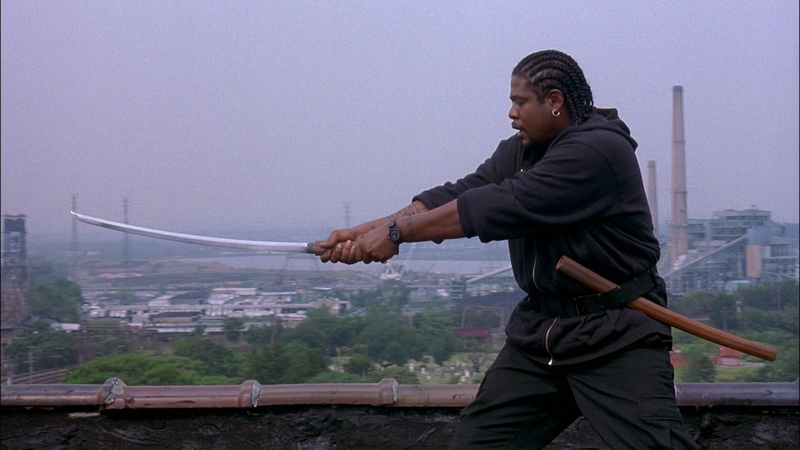 Ghost Dog: The Way of the Samurai is a film directed by Jim Jarmusch, a director not known for realism. Ghost Dog is no exception and it’s an unusual film about the values of a past (and alien) society uneasily existing in the present. Jarmusch as a director has a very distinctive style and this really comes to the fore in Ghost Dog. Whitaker’s character then is a contemporary African American hit man working for the Italian American mob. He assumes the philosophical understanding of the samurai and attempts to reconcile it with the obligations of mafia life. Ghost Dog works tirelessly for his employer, a Mafioso know as Louie (John Tormey). Louie isn’t high up in the mob hierarchy; instead he’s more of street thug albeit an aging one. Ghost Dog exhibits unquestioning loyalty to Louie as Louie saved his life. In the samurai code that means that Ghost Dog’s life forever belongs to Louie and Ghost Dog must fulfil all of Louie’s needs. Things become complicated however when Ghost Dog is earmarked for death by mafia don Vargo (Henry Silva) after his daughter witnesses a killing committed by the unfortunate Ghost Dog. This is where Jarmusch’s movie becomes inherently interesting. The cultural clash of east and west suddenly has weight and influence in the plot. Ghost Dog exists to serve his master but at what expense? 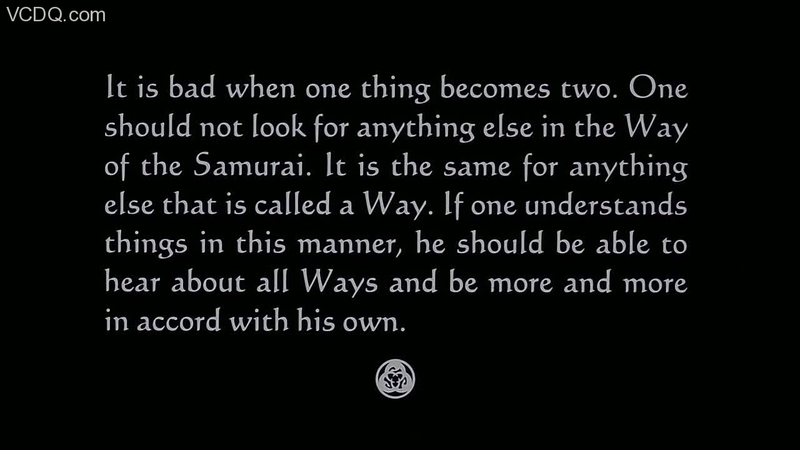 His quest for survival is muddied by his eastern philosophical outlook as maintaining his samurai status would contradict his desire to protect Louie. Ghost Dog then is a film about deconstruction. It’s a film that strips down the concept of the samurai and forces it to compete with western capitalism and it’s subversive requirements. What’s perhaps one of the more interesting outcomes of this deconstruction is the complete lack of romanticism. Ghost Dog may well live like a samurai but he certainly doesn’t dress like one. Likewise the mafia gangsters that he follows are old men, out of time and out of place, and they’re all struggling to remain relevant. The world of Ghost Dog is one of decay, not decadence. The mob don sits at home with children’s cartoons on repeat whilst his henchmen struggle to exercise even a modicum of control. It’s a place of depression, it’s bleak, and it’s bereft of hope. There’s an underlying sense that the cultures on display are no longer in existence. It’s a by-product of mass media, of mass art, and mass capitalism. Folklore, storytelling, and culture have all been homogenised. Those that try to fight it become suffocated, out dated, and left behind. It’s possible to be whoever you want to be. It’s possible to shake off the trappings that contextualise who you are. You don’t have to be from anywhere anymore, you don’t have to have a culture specific to your place in the world. Instead you can steal, beg, borrow and appropriate whatever it is that makes you who you want to be. This is exactly what Ghost Dog does. He’s an African American working for the Italian mob who has also adopted the philosophy of the samurai from Japan. Ghost Dog is postmodern in his make up. There is very little to define who he is. His world is that of the culture clash, that of the echo. Ghost Dog has little to say throughout the film and what little he does say is often misinterpreted, or simply misunderstood. There’s the little girl that he talks to. He gives her a book but advises that she wait until she is older to read it. Then there is the old Haitian ice-cream seller. He doesn’t speak English and Ghost Dog doesn’t speak French meaning that their communication never leads anywhere. But this again is a postmodern trope. Language is inherently flawed when it comes to communicating meaning; it’s limited, and contextualised by the speaker’s understanding of what’s being said. In this multicultural world of signifieds it becomes hard to define or determine anything close to verisimilitude. Ghost Dog has had to assume a different philosophy to survive and this is part of the drive of the film as a whole. Multiculturalism destroys individual cultures by blending them and making them available the world over. So in Ghost Dog the white gangsters are old and tired. Their day in the sun has passed and now they are on a path of self-destruction. Ghost Dog is separate to them; in fact his culture is something new, perhaps even exciting. But once again the individual, the notion of a unique culture, is trampled on. Ghost Dog: The Way of the Samurai is a pop art movie that has deeper meaning and philosophical themes hidden in it’s odd make up. The narrative is distinctive, the concept engaging, and the overall tone of the film is unique. This is Whitaker at his best and Jarmusch at his most hip.